Kevin was getting a bit hot and flustered today. 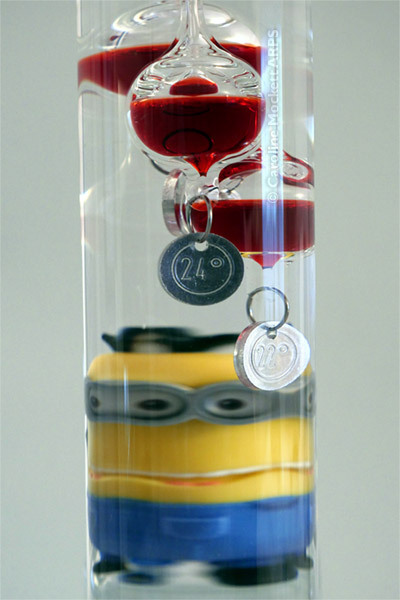 He just wanted to know what the temperature was – but somehow, in a freakish accident, he got trapped inside the Galileo thermometer while taking a reading! Silly Kevin. But a great shot for Topic 34 – Glass.